For three months, artist Jessica Singerman set aside an hour or more nearly every day to hand-fold paper cranes. The end result of that meticulous exercise is “Paper Mountain,” a 13-foot-high, 30-foot-long installation that comprises more than 1,000 of these intricate figures. It’s part of a new body of work that Singerman will debut in her upcoming exhibit, Beyond the Mountain, which runs through April 26 at the Elder Gallery of Contemporary Art following an opening reception on March 15. Also featuring pieces by abstract landscape painter Martha Armstrong, the show seeks to celebrate the human connection to nature and respond to the changing ways people interact with the outdoor environment. Singerman, who majored in studio art at The College of William & Mary and received her MFA in painting from the University of Delaware, began incorporating nature into her artwork during a creative rut. As an undergrad, she focused on politically driven figurative work from a feminist perspective, but by graduate school, she had hit a roadblock. Like Armstrong, Singerman ultimately found her passion in landscape-based abstraction. After graduate school, she took a job as a cycling guide, leading tours across Europe, Central America and Australia. That adventurous outdoor lifestyle provided experiences that continue to influence and shape her work today. “Paper Mountain” marks a departure from painting for Singerman, who says the feeling she wanted to evoke with the project couldn’t be captured on canvas. For Singerman, the main challenge was finding the right kind of paper. Through trial and error, Singerman landed on drawing paper, and from November 14, 2018, through February 12, 2019, she dedicated a portion of each day — aside from three days to attend a painting workshop — to folding the 1,200 paper cranes. 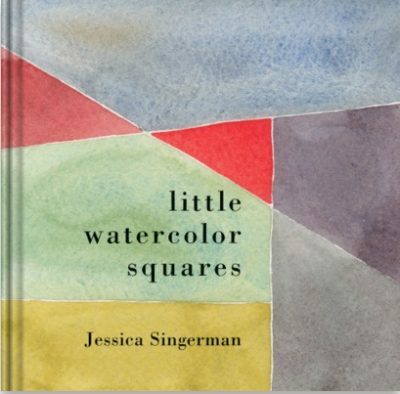 And “Paper Mountain” isn’t the only part of Beyond the Mountain that has moved Singerman out of her artistic comfort zone. A complementary installation called “Sky Project” includes 75 images of the sky, crowdsourced through Instagram, that will be projected onto the gallery’s walls. The project is a response to the modern-day desire to document much of our lives on social media and how that has altered the way we experience nature.